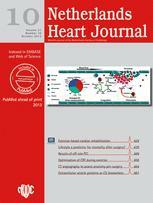 Mortality decrease from cardiovascular disease in Europe: 50 % in 30 years! Is a sedentary lifestyle an independent predictor for hospital and early mortality after elective cardiac surgery? Rapid palpitations: three of a kind?